In the spring of 587 AD, two monks set off on an extraordinary journey that would take them in an arc across the entire Byzantine world, from the shores of the Bosphorus to the sand dunes of Egypt. On the way John Moschos and his pupil Sophronius the Sophist stayed in caves, monasteries and remote hermitages, collecting the wisdom of the stylites and the desert fathers before their world shattered under the great eruption of Islam. More than a thousand years later, using Moschos’s writings as his guide, William Dalrymple set off to retrace their footsteps. Despite centuries of isolation, a surprising number of the monasteries and churches visited by the two monks still survive today, surrounded by often hostile populations. 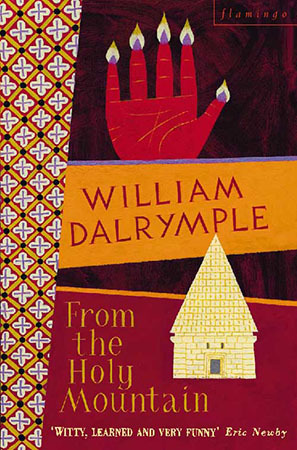 Dalrymple’s pilgrimage took him through a bloody civil war in eastern Turkey, the ruins of Beirut, the vicious tensions of the West Bank and a fundamentalist uprising in southern Egypt. His book is an elegy to the slowly dying civilisation of Eastern Christianity and the peoples that have kept its flame alive.